1. My blog has been redesigned, in case you didn’t notice. In case you are in need of a redesign yourself, April Klinge is excellent. She’s done almost all of my branding, too (and all my candle artwork, they’re all originals by her). She’s a marketing/branding/web designing genius so snap her up while she’s still affordable. Her email is april.fitzcarraldo [at] gmail [dottie] com. 2. 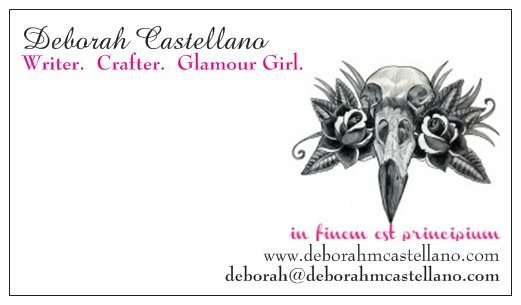 She also redesigned my portfolio, deborahmcastellano.com. 3. I re-branded The Glamoury Apothecary so it’s not like Hello Kitty went on a bender anymore.